The neighborhood of Country Club West is bordered by Spanish Bay to the north, Bird Rock to the south, Congress Avenue and Rip Van Winkle Open Space to the east and 17 Mile Drive to the west. The Monterey Peninsula Country Club (MPCC) located in the neighborhood, is a private club that originally opened in July of 1926 with the Dunes Course. Each year thousands of fans flock to Pebble Beach to watch the pros compete at the AT&T Pro Am tournament, which in addition to nearby Pebble Beach Golf Links and Spyglass Hill, is hosted at MPCC’s Shore Course. Many homes in Country Club West have lush fairway views, expansive ocean views and close proximity to the beach. Click here to preview all Pebble Beach homes for sale in the Country Club West neighborhood. 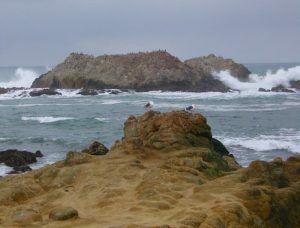 For all available Pebble Beach real estate, click here. 38 homes sold in this neighborhood in 2018. The most expensive home to sell was a 3 bedroom, 3 bathroom estate with panoramic views of famed 17 mile drive, Seal rock, the Ocean and the MPCC course. Sold for 4.9 million with 2,842 SqFt of living space on 9,000 SqFt lot. The least expensive home sold for 900K for a 3 bedroom, 1.5 bathroom home with 1,566 SqFt of living space on a 11,200 SqFt lot located close to Spanish Bay and the MPCC golf course. 40 homes sold in this neighborhood in 2017. The most expensive home sold for 6.15 million for a 3 bedroom, 3.5 bathroom estate with 4,657 SqFt of living space on a 9,100 SqFt lot that fronts the MPCC Shore course. The least expensive home sold for 1.005 million for a 3 bedroom, 3 bathroom bank-owned, fixer-upper with 2,199 SqFt of living space on a 9,000 SqFt lot. 33 homes sold in this neighborhood in 2016. 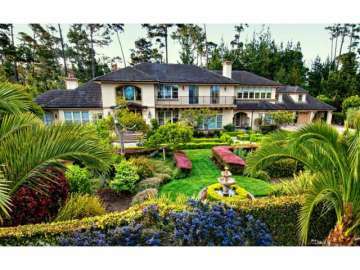 The most expensive home sold for 6.25 million and was a 6 bedroom, 6.5 bathroom, 5,455 SqFt home on a 9,400 SqFt lot that fronts on the Monterey Peninsula Country Club Golf Course and features Ocean and Golf Course views. The least expensive home sold for 916K for a 4 bedroom, 3 bathroom, 2,469 SqFt home on a 9,900 SqFt lot. 41 homes sold in this neighborhood in 2015. The most expensive home sold for 4.8 million for 4 bedrooms, 4.5 bathrooms, 3,925 SqFt of living space that overlooks the 6th green of the MPCC shore course on a 10,000 SqFt lot. The least expensive home sold for 835K for a 3 bedroom, 2 bathroom single level ranch style home with 1.643 SqFt of living space on a 9,200 SqFt lot. In 2014, there were a total of 29 homes sold in this area. The most expensive home sold was a 4,228 SqFt home on a 9,700 SqFt lot, which sold for 4, 442,375. The least expensive was a 1,299 SqFt home on a 10,000 SqFt lot, which sold for 655K. There were 30 homes sold in the neighborhood in 2013. The most expensive home sold in 2013 was a 2,500 SqFt home on a 11,754 SqFt lot, which sold for 3.135 million. The least expensive home sold in 2013 was a 1,575 SqFt “fixer” home on a 12,000 SqFt lot, which sold for 373,500. In 2012 39 homes sold in this neighborhood. The most expensive home sold for 4.7 million and was a 5,680 SqFt home situated on .46 acres. The least expensive home sold for 600K and was a 1,864 SqFt “fixer” on a 10,400 SqFt lot, that did not have ocean views. In addition to single family homes, the area offers gracious condo living as well. The residence condos at Spanish Bay offer exquisite ocean views and enjoyment of all the amenities and lifestyle perks of the Spanish Bay community. As a full time residence or your home away from home, the location is perfect for golfing, relaxation and entertaining. To own a home in Country Club West is to truly experience the heart of Pebble Beach. A mecca for golfers worldwide, the sprawling greens exist in perfect harmony with the natural coastal landscape of sugary white dunes and chaparral. Don’t be surprised to wake up to the sound of crashing waves as you see early morning surfers heading out in search of the perfect wave or the sound of red tail hawks that so frequently soar above. Cyclists and runners will love their close proximity to the seemingly endless stretch of coastline and golfers will love the abundance of challenging and visually stunning courses. Don’t forget to head over to Spanish Bay around sunset when the Bagpiper plays his homage to the setting sun each day for a truly unforgettable tribute to this beautiful place you call home.